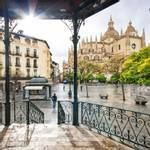 The region of Castilla y’León comes complete with wide open plains, impressive mountain peaks and gorgeous towns and villages oozing with history, cultural traditions and a touch of the impressive. 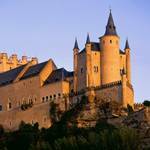 Discover the well-known cities of Segovia, Salamanca and classy Madrid while also exploring the hidden joys of Valladolid and beautiful Avila. 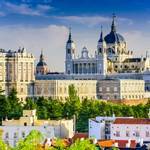 Why Go to Essence of Spain? Day 1 - UK to Madrid. Transfer to Valladolid before a welcome drink and dinner in a local restaurant. Overnight Valladolid. Our day takes us to the medieval town of Palencia with its wonderful Romanesque monuments, pretty streets and beautiful cathedral. 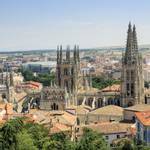 On to Burgos with its legend of Spanish hero El Cid and its Gothic cathedral looming over the city. Overnight Valladolid. 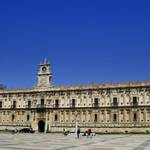 Day 3 – Leon & Valladolid. This morning we visit the vibey student city of Leon with its narrow streets, old quarter and catholic heritage. Leons’ fabulous cathedral together with the Cathdral in Burgos form part of the spectacular St James Way or Camino de Santiago. 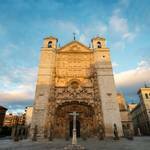 This afternoon take a guided tour of Valladolid with its Spanish character and handsome monuments. Overnight Valladolid. This morning we make our way over to a local winery to learn about the production of the high quality of Rueda and Ribera del Duero wines. 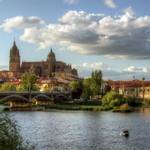 Following a delicious tasting we transfer to Salamanca for the afternoon to explore at our leisure. Overnight Salamanca. A full day sightseeing in this fantastic city with lunch in a local restaurant. 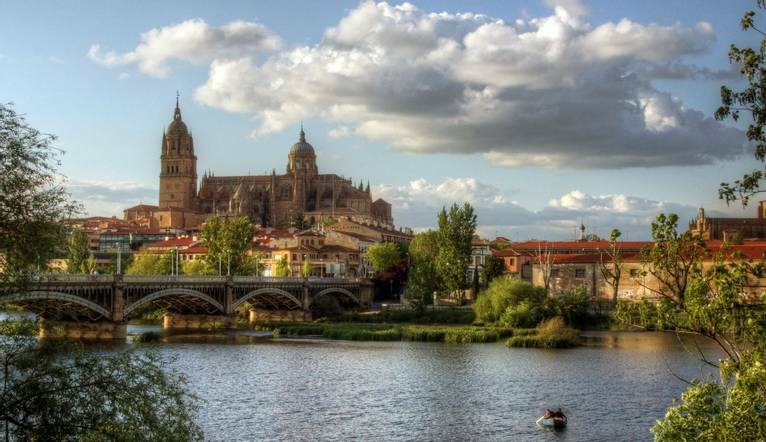 As well as being a historically important city due to its University, cultural monuments and not forgetting the Plaza Mayor, Salamanca is an unforgettable highlight complete with its buzzing bars and restaurants. Be sure not to miss it being lit up at night! Overnight Salamanca . Day 6 – Avila & Segovia. It’s on to Segovia today stopping at the striking historic town of Avila and some of the best conserved striking Romanesque walls comprising of 8 gates, 88 watchtowers and more than 2500 turrets. We arrive into Segovia this afternoon where we can relax before dinner this evening. Overnight Segovia. Full day as we explore with a guided tour of this Unesco World Heritage listed city. Set against the backdrop of the Sierra de Guadarrama, the terracotta warmth of the city radiates through its history and modern vibe. We visit the magnificent Cathedral as well as the Alcázar which Walt Disney apparently modelled Sleeping Beauty’s Castle on. Overnight Segovia (B, L). 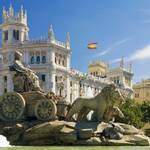 With her magnificent buildings and monuments, fascinating museums and wide tree lined boulevards, Madrid is a sophisticated and charming addition to any holiday programme. The main sights such as the Prado and Reina Sofia, the Royal Palace and the Plaza Mayor, are all located within close proximity to each other, making sightseeing an uncomplicated joy. 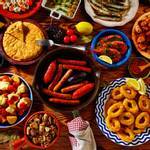 Get a real taste of Spain in the Malasana area with its abundance of bars and restaurants open until the early hours. Olé! Overnight Madrid. Day 9 – Our final morning to take in the city before we head for home. Our final morning to take in the city before we head for home. The transfer from Madrid Airport to the hotel is approximately 2 hours 15 minutes depending on traffic and local conditions. Your Tour Leader will be on hand to offer advice or suggestions if required but gratuities are offered entirely at the sole discretion of the individual. We suggest a group collection to cover drivers, porters and hotel staff of €25.00. Your Tour Leader will collect this on your behalf and distribute it accordingly, thus relieving you of the burden of who, when and how much to tip. The tipping of housekeeping will be left to your individual discretion (a small amount left in your room on departure should cover this and would be much appreciated). As is customary, ‘the hat’ will be passed around for the driver and guide on all optional excursions. For any meals that are not included in your itinerary, or taxi fares, your Tour Leader can advise of an appropriate Ͽo add on. A reasonable level of fitness/mobility is required as we include plenty of sightseeing/travelling. There is a significant amount of walking on this holiday particularly due to the layout of many towns and local transport regulations with some steps and uneven pathways. Casual daytime medium-weight “layers” are recommended. Comfortable shoes are a “must” for sightseeing. Smart, casual wear for the evenings would be acceptable.